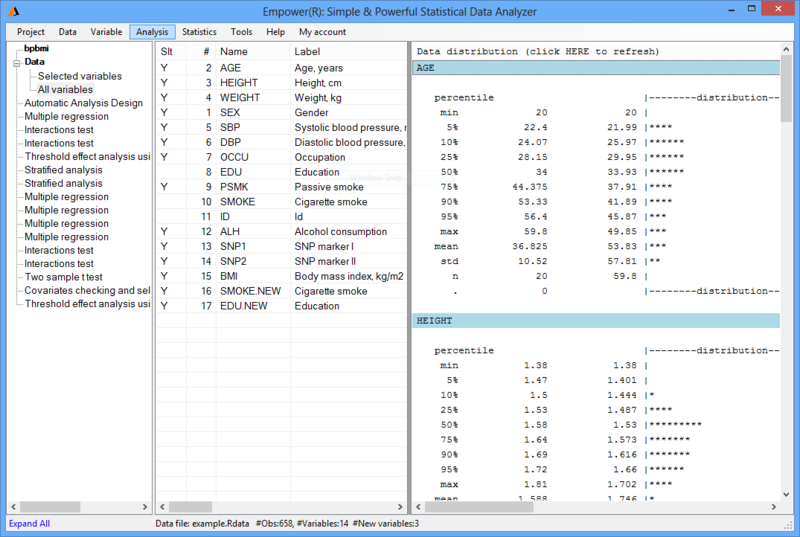 With Empower, you can achieve all your Biostatistical analysis needs without writing a single line of code. With your data and a hypothesis, simply set up your hypothesis in the analysis module and Empower will generate the code, run it through R or SAS, and output the results for you. Empower analysis modules all have drag-and-drop functionality to help you easily set up your analysis. 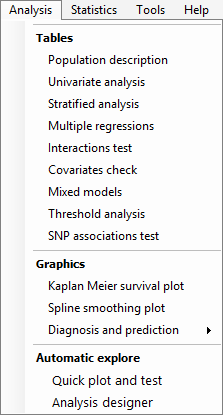 The modules covers a wide range of statistical tests from simple t-stat analysis to generalize linear regression, spline smoothing plot, repeated measurement mixed model regression, threshold effect analysis, interaction test, model diagnosis and covariates selection, and more. The very first screen you will encounter after specifying your dataset will show a list of your variables and a list of their respective distributions. This is done automatically and is helpful to generating hypothesis and identifying the method of analysis. 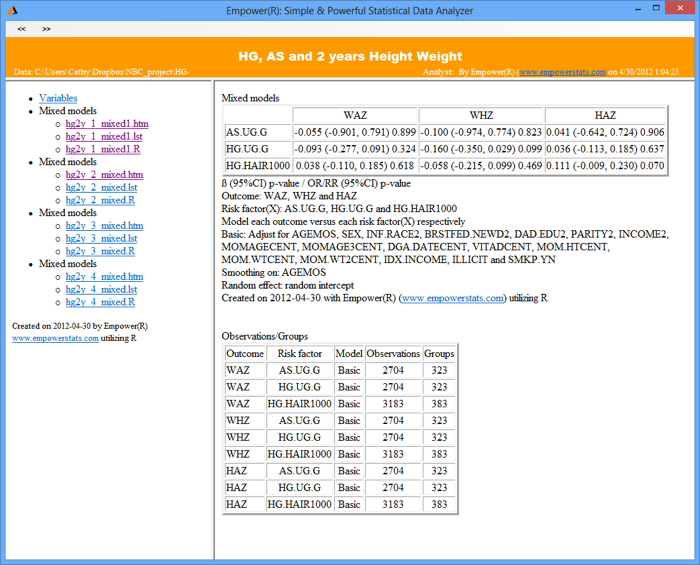 Empower also provides a deep set of tools for organizing and manipulating your datasets and specific variables. 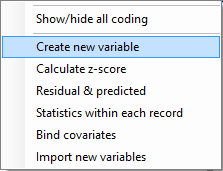 Features include Categorize continuous variables, Re-group categorical variables, Standardize variables, Create new variables, Merge / append datasets, Transpose variables & records, Statistics over subsets of records, Statistics within each record, Check duplicates, Check variable pattern, and more.